● If you don’t wish to pay the full purchase price of a game, but would still like to play it, it can be rented through WildTangent Games’ Wild Coins program. WildCoins come in monthly plans, and can be used on all of your devices-laptop, tablet, android, etc. Purchasing WildCoins in bulk (200 or more at a time) can save you up to 40% on your WildCoins plan. ● WildTangent Games frequently displays featured cash tournament game promotions on its homepage. To be in the tournament, you must play the featured game online, and these promotions give away as much as $500,000 daily. ● Free Web versions of games are available on the WildTangent Games website. 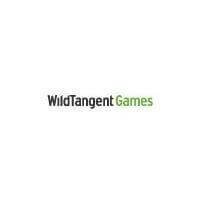 ● WildTangent Games coupon codes are frequently available. These are good for a variety of discounts; although, they usually get you a set amount of free WildCoins or up to 75% off of a single game of your choice. Online games give users the opportunity to play different types of web based games entirely from their browsers. Wild Tangent Games allows users to make an account on their site in order to play an array of different interactive experiences online. There are games related to fishing, fashion, adventure, fantasy, and more. If you’re looking for a specific title you can use the search bar at the top of the site. You can also create an account to have access to the titles that you’re interested in playing. To browse, select the “Find Games” tab at the top of the page. For most up to date offers check out Wild Tangent Games on Facebook and Twitter or contact Wild Tangent Games Support for any questions.